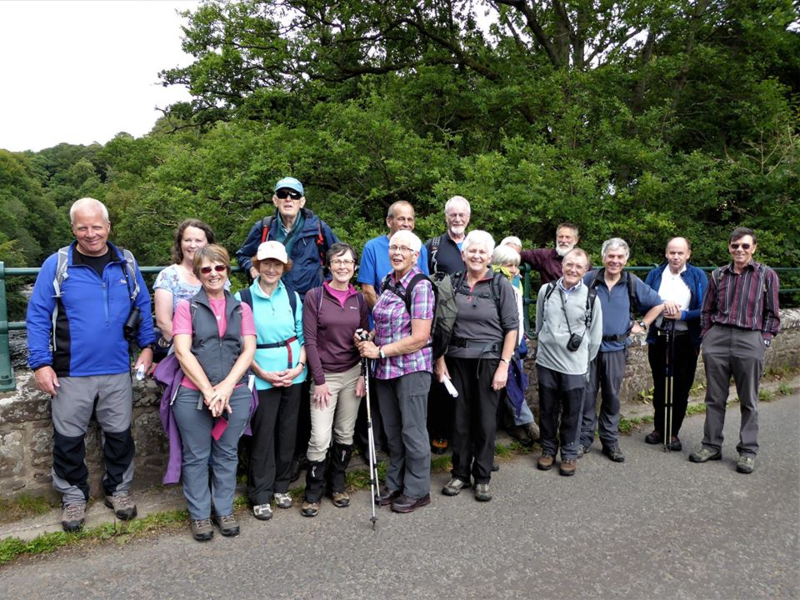 The name of the Club shall be ‘The Blairgowrie & District Hillwalking Club’. The object of the Club shall be to promote and foster safer hillwalking and activities associated therewith and the enjoyment of the countryside. and 3 (three) members duly proposed and seconded at the AGM. The President, Vice-President and Past president each to serve a term of two years of office with the President being succeeded by the vice- President on completion of each term of office. Other Officers and members of the committee to be elected for an initial term of two years, Members demitting office may offer themselves for re-election for another term of two years. No ordinary member of the Committee to serve more then four years consecutively. Five Committee members to form a quorum for committee meetings. In the event of an office becoming vacant the office may be filled from within the Committee. In the event of a vacancy arising on the Committee during its term of office the vacancy shall be filled by the co-opting of a member to the Committee. Should more than two vacancies arise on the committee during the term of office a Special General Meeting shall be convened for the purpose of filling the third and subsequent vacancies by election. A Special General Meeting may be convened by the committee or on the written petition of seven or more members. Notification of this meeting shall be made by the Secretary at least two weeks prior to the Special General Meeting. The financial year shall be from 1 March to last day of February to assist production of accounts in time for the 31 March. The Annual General Meeting shall be held in March. Notice of the AGM shall be made at least two weeks prior to the meeting. Notification of this will be through various mediums eg syllabus, walk sheet, website, included in report to Blairgowrie Advertiser. A quorum at a General Meeting shall be one fifth of the total membership of the club. All meetings shall be conducted in a constitutional manner. At the meetings the Chairman of the meeting shall have a casting vote in addition to their definitive vote. The Treasurer shall be responsible for the financial affairs of the Club. The Treasurer shall maintain a General current account and a Transport current account each of which shall be operated by any two or three signatories. The signatories shall be the President, Treasurer and one other Office Bearer. The Treasurer shall be responsible for having the accounts audited prior to the AGM. All applications for membership shall go before the Committee for approval. The subscription rates shall be fixed at every AGM. Members under 18 at the 1 April shall pay a Junior subscription rates. The Club by decision of an AGM may confer the status of ‘Honorary Member’ on an individual. Such membership to be non-voting and exempt from the requirement to pay Club subscriptions. Junior members shall not have the right to vote. Prior to attending any meeting (or gaining membership of the Club) Junior visitors or prospective Junior members shall provide written parental consent for this together with written parental receipt of the Club’s Constitution and Rules and the Welcome Pack. Junior members under 18 years of age must be accompanied by an adult or a member who shall be responsible for them on a meet. The Committee shall be responsible for the organising of meets. The Club shall establish a set of Club Rules. The Club reserves the right to ask any member not observing the rules to resign. Visitors may participate in meets on two occasions in any financial year without joining the Club. The Club shall keep an annual register of visitors and fully paid-up membership shall be obligatory on the third occasion. Visitors shall be subject to Club rules. Alterations to the Constitution and Rules shall only be made at a General Meeting. A two-thirds majority of the membership present and eligible to vote shall be obtained before any alterations shall be adopted. Proposals for any change to the constitution and Rules should be made by a proposer and seconder and notified to the Secretary four weeks before the General meeting. The Secretary shall advise all members of the proposed change to the constitution and Rules at least two weeks before the General Meeting. All members and visitors shall receive and acknowledge in writing receipt of a copy of the Club’s Constitution and Rules together with the Welcome Pack. The Club shall not be held responsible for any accident or mishap or loss of equipment suffered by any member or visitor while on a meet or whilst in transit to or from a meet. In the event of the Club being wound up the Committee shall settle any outstanding debts and liabilities before realising the Club’s assets and shall donate any money so obtained to a charity of the member’s choice. Amendments to Section 8 adopted at AGM on 28 March 2014 The signatories shall be the President, Treasurer and one other office bearer.